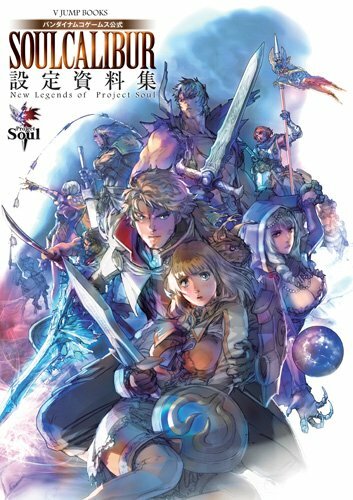 This is the artbook for Soul Calibur V.
It collects the character designs, profiles, background art, interviews and commentary for the fighting game. The character designs are painted illustrations and sketches. They look great. The costumes is like old school fantasy style with the armor and swords. They are detailed and varied. Nice companion for the game. Recommended if you like character design or the game.